Get Rs.20 cashback on Recharge of Rs.150 or more. This offer is valid for all users and valid till 10PM, 13th April. • Now enter your mobile number and select operator & circle. • Enter amount Rs.150 or more and proceed to payment. • On payment page click on “Add Promo Code” option. • Make payment and complete the transaction. 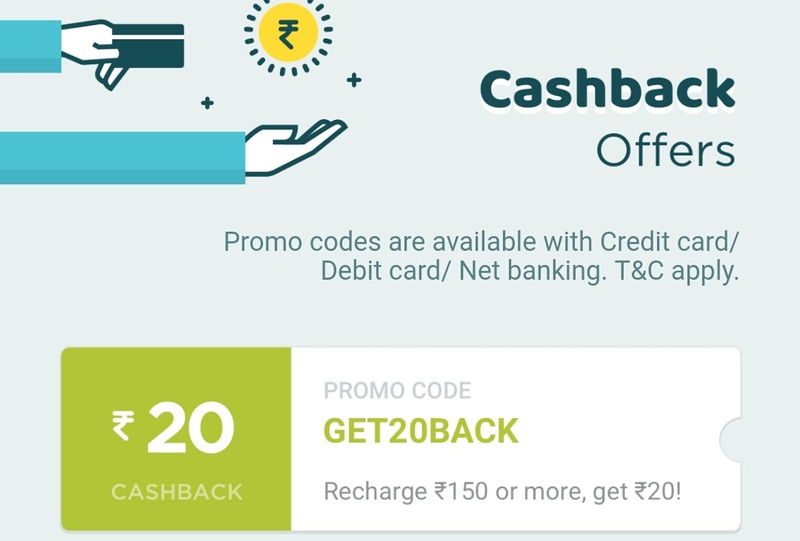 • You will get Rs.20 cashback in your True Balance wallet.